Beyond interior design and aesthetics, building a good plumbing system into your home construction plan is an important consideration. If your plumbing system isn’t set up correctly, you could be building a number of small annoyances and big concerns into your new nest. It’s a make or break decision. Whether or not you are using an architect to design your home, a little background knowledge ensures you understand how your new home will function. You might also be able to spot potential problems before building a new home. 1. If your area has hard water or other water issues, consider integrating a water softener and filtration system to your plumbing system. Make sure to add these appliances during construction as it will be more difficult to retrofit them, especially if you are building a slab home. While they may be an additional cost, they will help to prolong the life of your washer, hot water tank, and other similar appliances. They also make a good selling point when reselling your property. 2. Have your water softener, hot water storage tank and similar appliances located as low as possible. Such appliances hold a lot of water, and you want to limit the damage should something breach the tank. Basements are the best location for a utility area. But if your new home doesn’t have this, the first floor would be ideal. So when a leak occurs, you won’t have to worry about what’s below. Your hot water cylinder should have a collector pan underneath. Choose an aluminum drain pan and have it plumbed to flow straight into the sanitary sewer. This small step ensures the leaking water will be drained away instead of causing damage to your property. 3. Get qualified Auckland plumbers to install your water heater and water softener in the same area as your main water shutoff valve, sump pump sewage ejector pit. By doing so, you’ll make troubleshooting muck quicker if something goes wrong. If your new home has a crawl space, make sure your builders do not locate the main water shutoff in there. Too often builders install the main water shutoff in crawlspaces where the rest of the plumbing is run. However, this makes them difficult to access during inspections or emergencies. 4. Have your sump pump discharge line plumbed into the storm sewer or a well-draining area that is located away from your home. This way, if the pump isn’t functioning properly, you won’t have water flowing back into your basement and causing damage. Be sure to check local codes to know what you can and cannot do about this. Alternatively, find a good plumber who will guide on relevant regulations in your area. 5. If you are thinking about adding green features such as a solar water heater, plan for it ahead of construction. These features may require support structures that are difficult to retrofit. For example, a solar water heater may need rafters or brackets for the best possible orientation to ensure optimal performance. On the other hand, a greywater system may demand specific plumbing arrangements. 6. For hot water heating systems, talk to a qualified tradesperson before buying. Getting the right size and specifications for your household demand is key to saving energy (and money!). 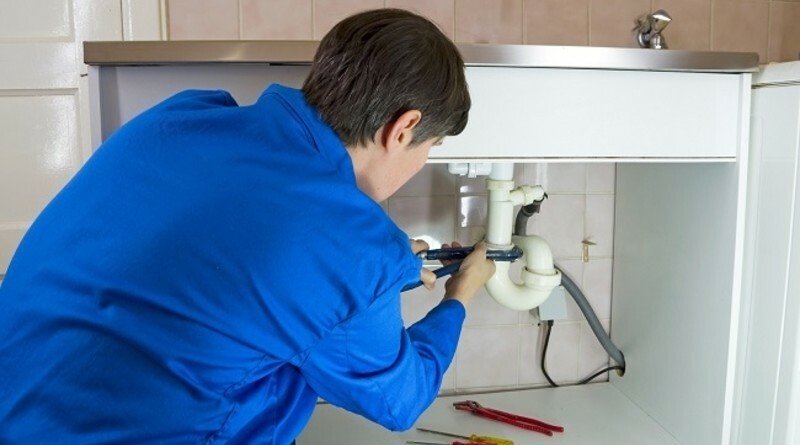 Correct installation is just as important, so be sure to get yourself of a trustworthy plumber. Take into account your needs for today and in the future. Heed these tips to ensure your home is not only aesthetically pleasing but pleasant to live in as well. For more tips, call the plumbing experts at Euro Plumbing on 0800 832 638. ← What are the benefits of using Gas Heaters?